Mild mannered mice melt marshmallows in Minnesota. Macadamias are medium sized evergreen trees native to the northern parts of Australia. 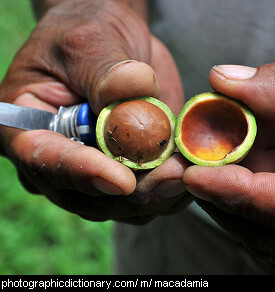 Not all macadamia trees have edible seeds, only macadamia integrifolia and macadamia tetraphylla are cultivated. The others have toxic seeds. The macadamias that people eat are toxic to dogs, and can temporarily paralyze them. Macaws are a group of parrots found in tropical areas. 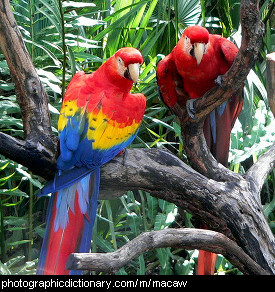 The most recognizable kind of macaw is the scarlet macaw in the picture. Macaws are often kept as pets. 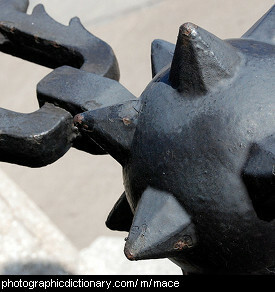 A mace is a medieval weapon, similar to a club but with an end designed to maximize damage. Some maces simply have a studded ball at the end, others have the ball on a chain. Mace is also a spice, see nutmeg. 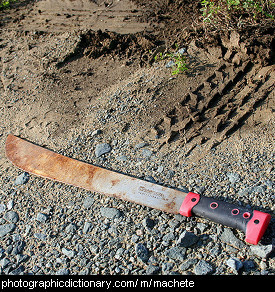 A machete is a kind of large knife that is used in tropical areas to cut through jungle or to harvest sugarcane. It is also used as a tool for cutting up food, or for carving wood. Because machetes are so common in tropical regions they are also used as a weapon. 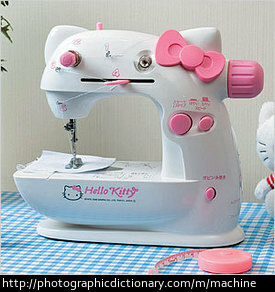 A machine is a device with many parts that work together to accomplish a task. Cars, computers, telephones and many other things we use every day are machines. Macrame is a craft where you make things out of string by tying lots of knots. 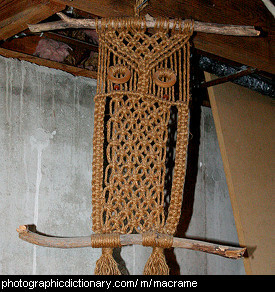 Macrame can be used to make all sorts of interesting items, including jewelry, belts, some clothing and household items like plant pot hangers. Made is the past tense of make. 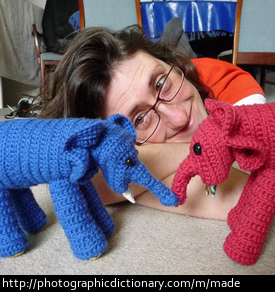 The woman in the picture has made two elephants. 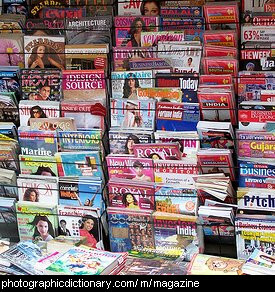 A magazine is a kind of book that is printed in full colour on glossy paper. They are smaller than newspapers. Magazines have a lot of pictures, and are usually printed once a week or once a month. 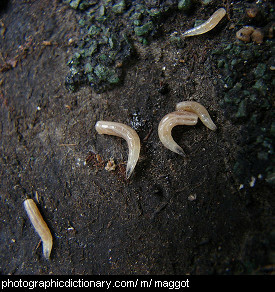 Maggot is the common name for the larvae of flies. Flies typically lay their eggs or put live maggots onto rotting food that they find. Maggots are very commonly seen in carrion. The maggots eat the food, grow bigger and then pupate and turn into flies. Magic is a way of doing something with no explanation, or explained by something supernatural. 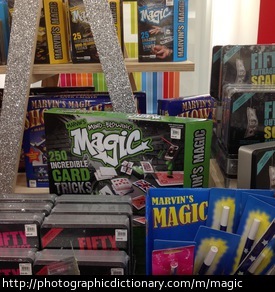 Someone who practises magic is a magician, although many mythical creatures are said to have magical powers.